Menchettiite: Mineral information, data and localities. 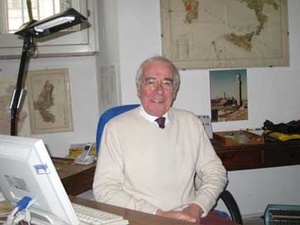 Named in honour of Silvio Menchetti (1937–), Professor of Mineralogy and Crystallography at the University of Florence. New species belonging to the lillianite series. Chemically related to oyonite. Museo di Storia Naturale, Sezione di Mineralogia e Litologia, Università di Firenze, via La Pira 4, I-50121, Firenze, Italy, catalog number 3109/I.